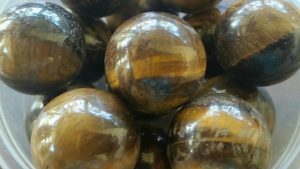 History/Mythology – Tigers Eye originally got it’s name due to the way it can look like an eye when polished, this then lead to the belief that it was a protective stone and thought to protect the wearer against the ‘evil eye’, demons and spells. In the middle ages it was very popular to have amulets made from Tigers Eye for protection purposes. 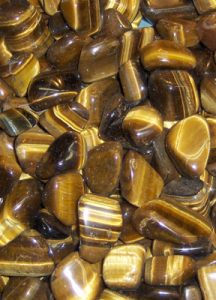 Tigers eye is a protective stone and very useful as a talisman. It also has great grounding properties and will help to feel more grounded when you are feeling ‘spaced out’. It aids you when you are collecting information so that it can put all the pieces together and use what you have effectively – so this makes it a very useful study or work stone. Tigers Eye helps us to find a resolution when we are faced with conflict, whether it is external or internal in nature. It gives us the self confidence in ourselves to be able to see why we hold the addiction we do and the strength to move forward and make changes to release these blockages holding us back. Tigers Eye through it’s golden colors help to make us feel lighter and lift any depression that we may be going through. 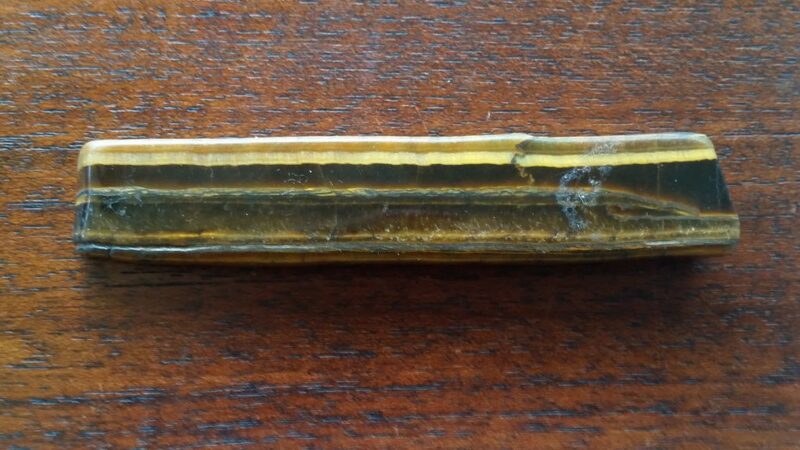 Tigers Eye is also consider a stone of abundance and when worked with will allow you to see what you really want in life and help you to manifest it helps you to see what it is you really need not what you want. Chakra – Solar Plexus, Sacral and Base Chakras. 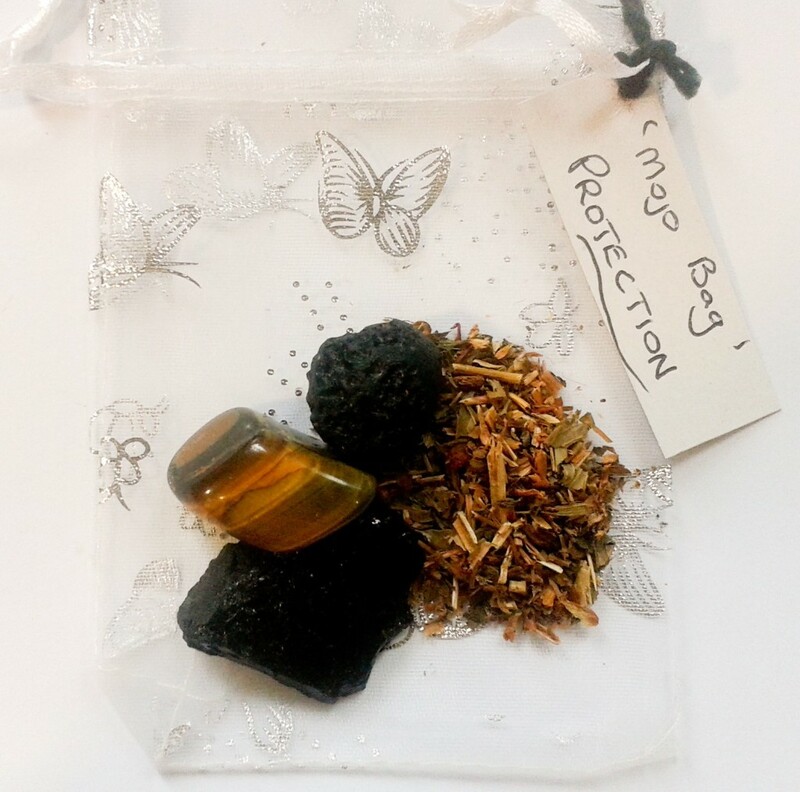 Healing – Treats eye issues, throat and reproductive organs, Helpful for repairing broken bones. Tigers Eye should be kept within your aura so wearing it on your person is a great way to achieve this. The most beneficial jewelry to wear is either a ring or bracelet as this will allow it to be closer to the Chakras it is more beneficial to. Worn as a protective talisman. Using a slab as a paperweight in a work/study is a great way to have the vibration close to you when working/studying. 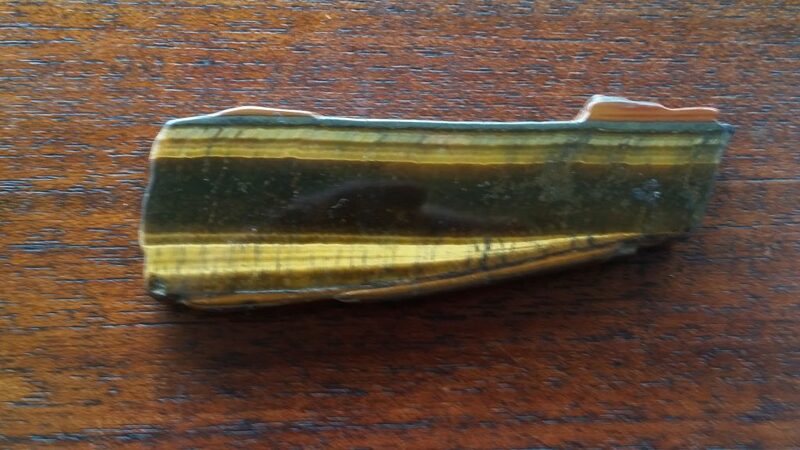 Tigers Eye is fantastic to use as a hand warmer particularly when we are feeling stressed. 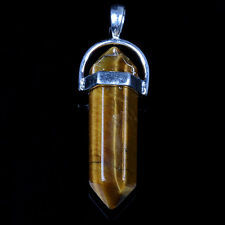 As a meditation stone Tiger Eye is fantastic either held or gazed upon.